Nilofer Khan tests the stability and the flexibility of the not-so-heavy Vanguard VEO 2 264CB. 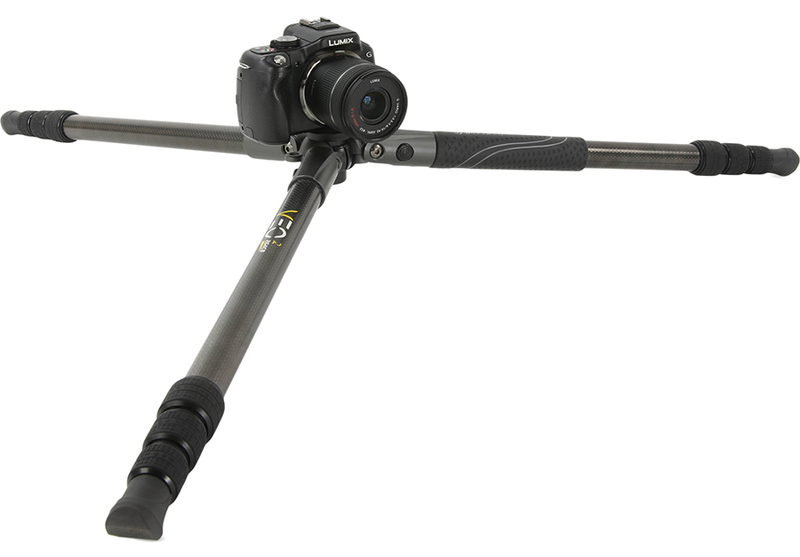 Vanguard recently launched a series of tripods that are specifically targeted at travel photographers. 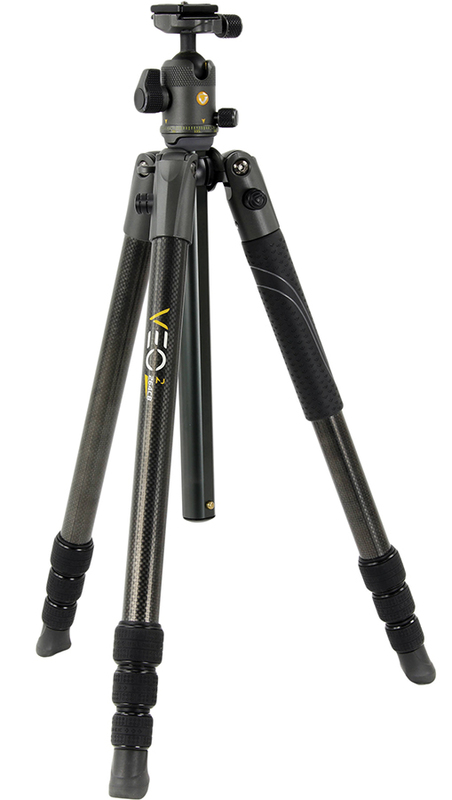 The VEO 2 264CB is one such tripod amongst 12 others in the range. The tripod seems extremely versatile, and has some interesting options. Let’s have a look at what it has to offer. The Vanguard VEO 2 264CB has four leg sections, and when fully extended it has a maximum height of 155cm. The three legs feature twist locks, and can be angled at 80°, 45°, and 20°. It comes with angled rubber feet. The company has also designed spiked feet for rough terrains that is sold separately. There is a Leg Angle Adjustment button that is positioned near the joint of the legs that allows you to adjust the angles. 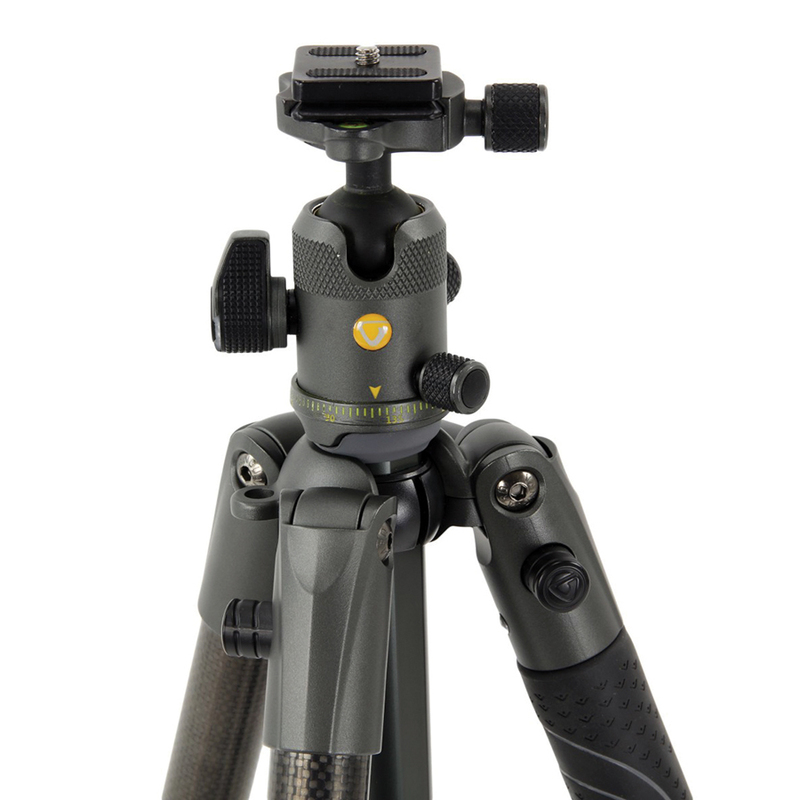 The center column of the tripod can be extended to the desired height by twisting the Central Column Locking Knob. It can also be detached by pressing the Stop button, and removing the Central Column Stop Cap at the base of it. The column can be rotated to 180°, for those who want to shoot low angle shots. The tripod also features a Low-angle Adapter, which is beneficial for macro photographers. You can directly mount the adapter on the camera, or in case you want to pan or tilt your frame, you can achieve this by attaching the ball head on the adapter. The BH-50 ball head features a QS-60S Quick Shoe. The Arca-type compatible plate has ¼” D-ring screw. The Quick Shoe has the Quick Shoe Knob Lock to fix the plate in place. You can control the movement of the ball head with three dedicated knobs—a Panning Locking Knob that allows 360° movement, a Locking Knob for Tilting, and a Friction Control Knob. The ball head is detachable. There is an Anti-shock Rubber at the base of the ball head that reduces the impact of shock, in case the center column collapses suddenly. A Bubble Level is also placed on the ball head. To achieve better results, the Bubble Level needs to face the screen of the camera. These features can also be useful to videographers. Each knob is designed differently. So there is no chance of any confusion even when shooting in extremely poor light. The company has also featured rubberised grips on the knobs. The Friction Control Knob is the same for the tilting and panning movements. The tripod is extremely compact and lightweight. It weighs a mere 1.4 kg, and is made up of carbon fiber. I carried it around for several hours, yet, it didn’t tire me. The center column can’t be locked in a horizontal position. Furthermore, there is a suspension loop between the joints of two legs that allows you to hang a bag to counterbalance for better stability. Vanguard claims it has a load capacity of 8kgs. One of the legs also feature a non-slip, all weather TUP grip. It helps to hold the tripod in colder regions. The tripod also comes with its own bag. The Vanguard VEO 2 264CB’s ball head movement is quite smooth, as well as the knobs. You can alter the position or the angle of the camera with -91° to 35° Tilt Locking Knob and the 360° Panning Locking Knob. I liked the twist lock system because it doesn’t consume too much time when setting up the tripod, and is very simple to use. However, there is an issue with the base plate. The ring at the bottom of the Quick Shoe was difficult to operate because it would get stuck, and took several attempts to bring it out. The tripod is steady, even on uneven terrain. I had mounted the Nikon D750 along with its kit lens, and extended the legs at different angles on the beach, as well as on footpaths, and its angled rubber feet managed to firmly hold the tripod in place. It can accommodate mid-range DSLRs with its respective kit lens, medium telephoto lenses, as well as mirrorless cameras. The Vanguard VEO 2 264CB is priced at Rs. 15,999, and comes with a five-year warranty. It can also endure rough usage while travelling. Considering the warranty, quality, stability, and weight, the tripod is definitely a long-term investment, and it’s a great deal for professional photographers, serious enthusiasts, and hobbyists. 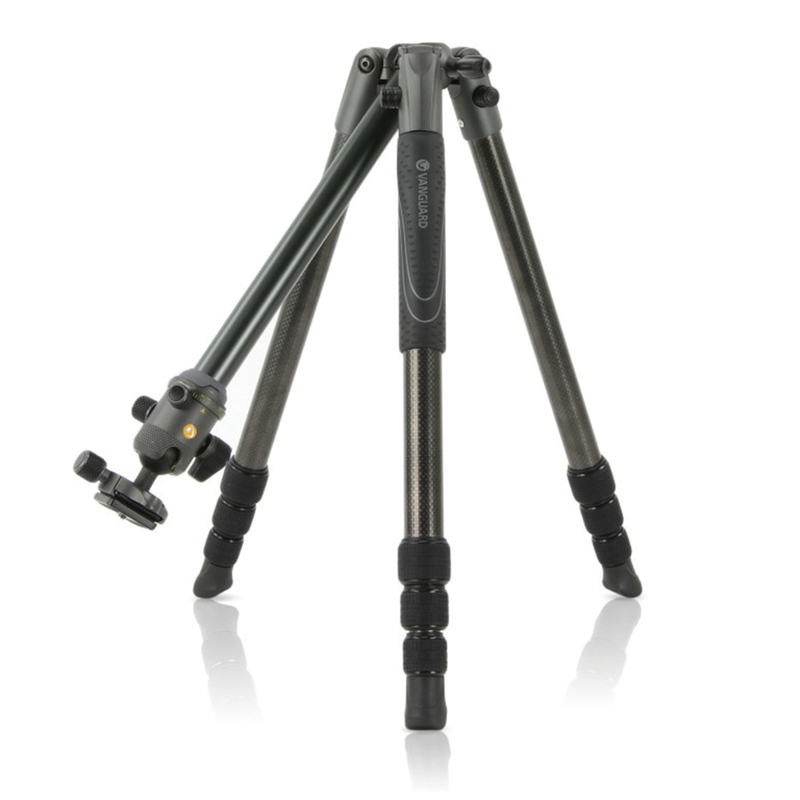 You can also buy the same tripod in an aluminum alloy build.